Both literally and in a more meta-textual sense, the Pillars of Eternity franchise is one that’s always been shaped by its fixation with the past. 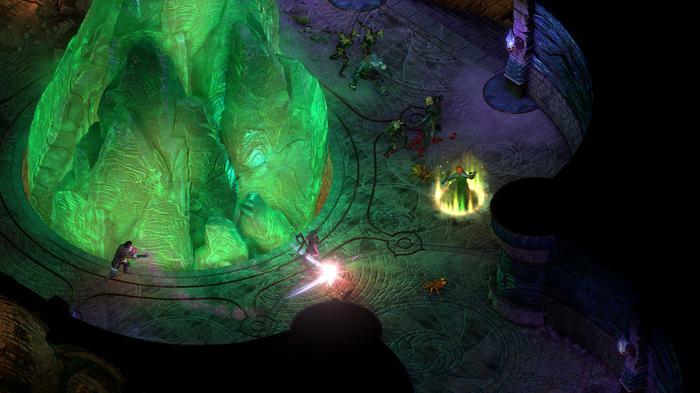 Crowdfunded via Kickstarter in 2012 and released in 2015, Obsidian Entertainment’s original Pillars of Eternity was a throwback to the grainy, dense but rewarding CRPG adventures of the 1990s. This nostalgia hit was further enriched by the setting and themes explored in the game itself. Set in the America-inspired Free Palatinate of Dyrwood, the first Pillars of Eternity very explicitly focused on what it meant to reckon with the past. You took on the role of a “Watcher” - a figure able to (literally) see into the past lives lived by themselves and those around them. Now in 2018, Obsidian are gearing up to launch the sequel - Pillars of Eternity II: Deadfire. As the minds behind critically acclaimed sequels like Star Wars: Knights of the Old Republic II - The Sith Lords and Fallout: New Vegas, it’s hard to imagine any modern studio better equipped for the task. However, when the nature and themes of Pillars is so defined by its tendency to look backwards, it’s difficult to envision what the path forward for the franchise should or could look like. We sat down and spent a few hours with an early build of Deadfire - currently due for an April 3rd release - to find out. Launching the demo, we were loaded into the idyllic island of Tikawara and encouraged to learn more about the locale and the supernatural storms that have cut off trade in the region. A stark change from the gloomy, stoic and often-xenophobic towns in the first Pillars, the residents of Tikawara were very friendly, welcoming and colorful. Like The White March expansion pack, this served to add a fun new kind of culture and diversity to the larger setting of Eora. The writing did a great job of enabling me to wring a real sense of the place out of my interactions with even the most unimportant of NPCs. 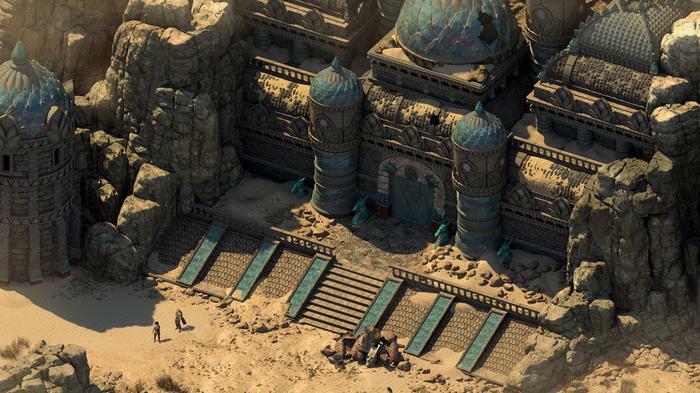 On this front, at least, it feels like Obsidian have yet to miss a beat. 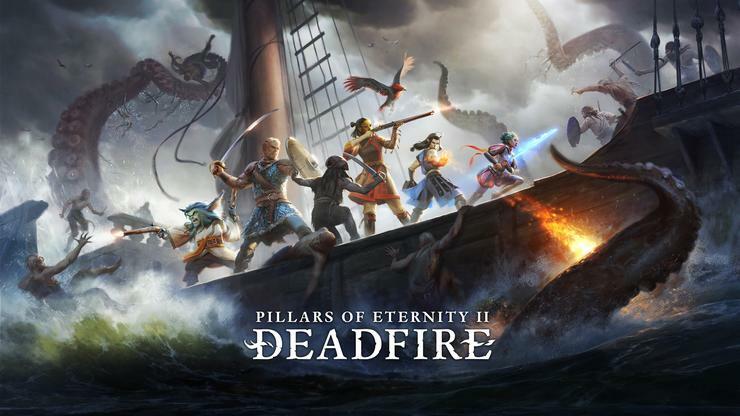 In addition - some of the dialogue here hinted that the first game’s fascination with deconstructing colonialism and imperialism will likely live on in Deadfire - though the focus of the critique has largely shifted to the political, economic, social and cultural dynamics between the native denizens of the Deadfire Archipelago and the appetites of the mercantile Vailian Republics. In terms of what this section of the demo actually entailed, it all felt pretty familiar. I talked with various locals, picked up a few side-quests and eventually, learned that the nearby island of Poko Kahara was both the source of the unnatural weather and home to a mysterious phenomena involving the series’ Adra crystals. So, armed with this knowledge and having had my fill of the positively-Polynesian Tikawara, I set sail. 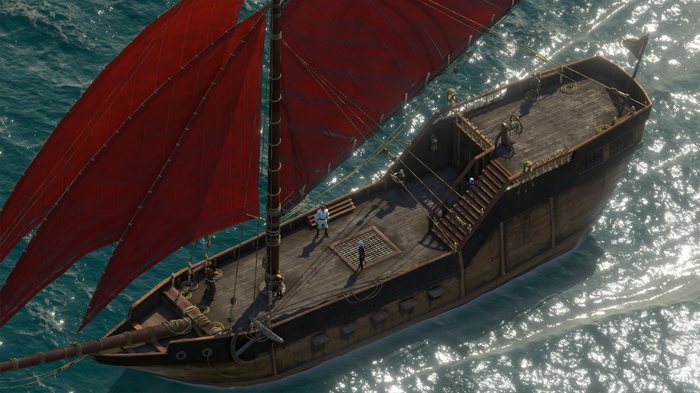 One of the major new features that Deadfire is set to bring to the equation comes in the form of seafaring. 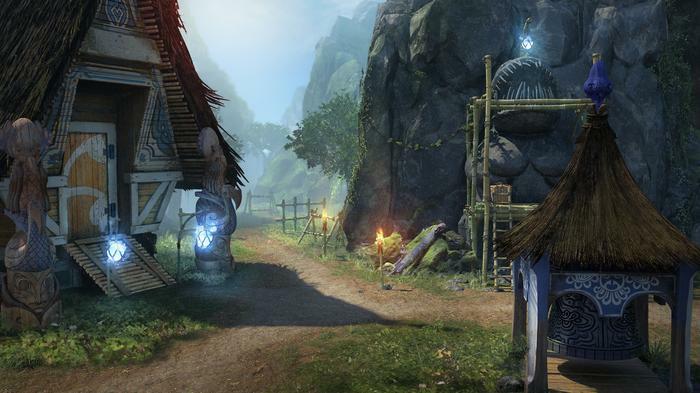 In the first game, you mostly traveled on foot - trekking from one region of the world to another. This time around, you’ve got a fully-fledged naval vessel at your disposal. What’s more, like the first game, it’s much more than an aesthetic inclusion. You have to manage your crew, make sure your pantry is stocked with enough supplies and more. Functionally, this seems to have replaced the fort you managed in the first Pillars - and it will likely scratch the same itch for who appreciate a good bit of micromanagement. 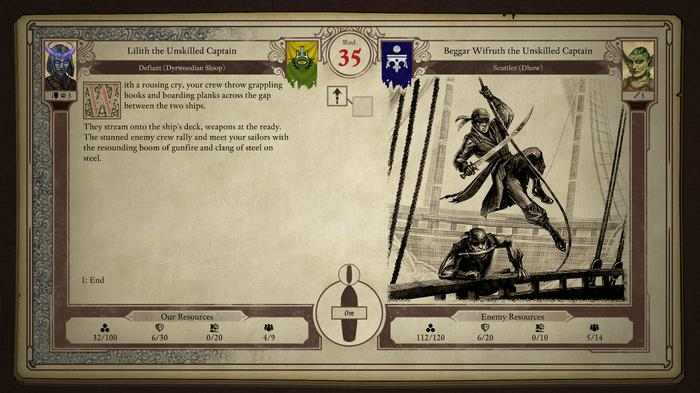 There are even naval battles here - though the bulk of seafaring during these encounters is handled by a choose-your-own-adventure style system of maneuvers. Once we landed at Poko Kahara, it didn’t take long to Deadfire to settle into a pretty similar rhythm as its predecessor. Exploration led to both combat encounters and clues left by a group of Vailian sailors who investigated Poko Kahara before us. The former felt both very similar to, but a little cleaner in motion, than its predecessor was. In practice, it felt like it hit a lot of the same pause-and-play, party-based, pen-and-paper-inspired beats. The latter was much the same. If you weren’t a fan of the first Pillars’ penchant for flashbacks - the sequel won’t win you over. One thing led to another and before long we ended-up delving into a sprawling, multi-level dungeon. Later, after catching up with our Vailian forebearers, we were faced with a moral decision that would resolve the storms but potentially have far-reaching consequences for the nearby denizens of Tikawara. The specifics here are best left to be discovered for one’s self. However, it’s very clear that - from what we’ve played of it - Pillars of Eternity II: Deadfire is looking like it will extend the series’ in both new and natural directions. If the first game felt like a CRPG from another time, this feels like the ambitious sequel that would have arrived only a year or two later. It’s still looking at (and thinking critically about) the past - only this time it's Pillars own heritage that’s being examined as well. As a result, Deadfire seems like it’s still got that same old-school feeling but feels unburdened, or at-least undaunted, by the knowledge that it needs to think, feel and be bigger than what came before it. Lets hope this confidence is justified. 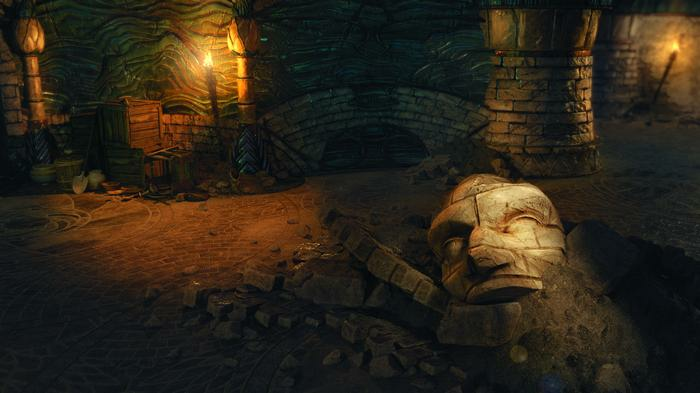 Pillars of Eternity II: Deadfire is due for an April 3rd release on PC, Nintendo Switch, PlayStation 4, Xbox One and Mac. Disclosure - I backed Pillars of Eternity II: Deadfire on Fig back in 2017.